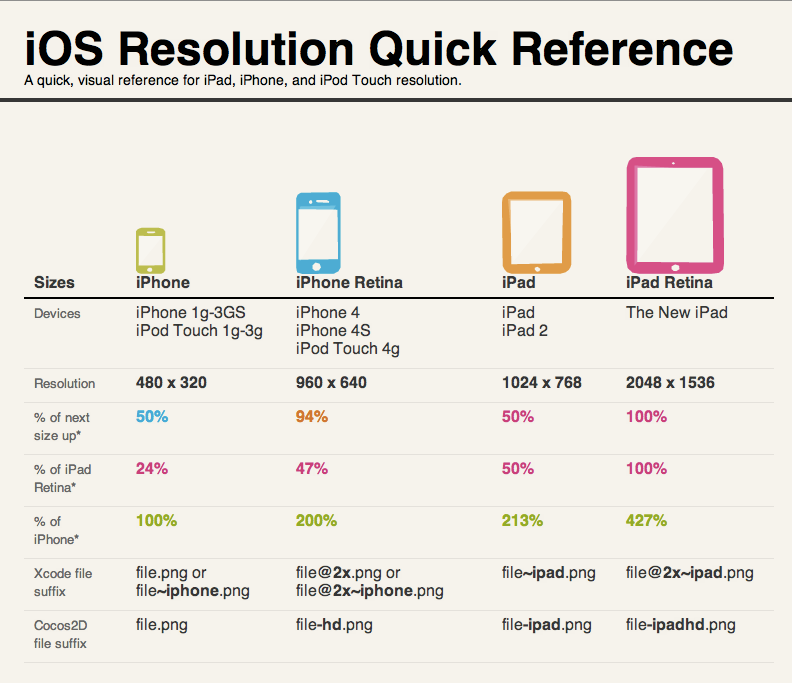 iOS Resolution quick reference for iPad, iPhone, iPod Touch | Pi'ikea St. Check it out and let me know what you think. All of this is from what I’ve personally discovered and found useful for myself. If anyone thinks this data is incorrect or has something they’d like added just give me a shout. I will say that the jump from iPhone Retina and iPad in the percentages gets a little hairy and they are not exact, they are estimates and are what I’ve found useful.